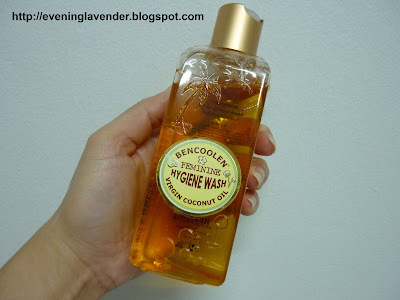 Today's review is on Bencoolen Feminine Hygiene Wash. This product is made in Malaysia. I have been using this product since last year. Where to purchase (for Malaysian living in the Klang Valley): I bought it at Jaya Jusco One Utama but I also saw it at Carrefour Tropicana City Mall. What brand of hygene wash do you use? Any favourite brand? Thanks for sharing.